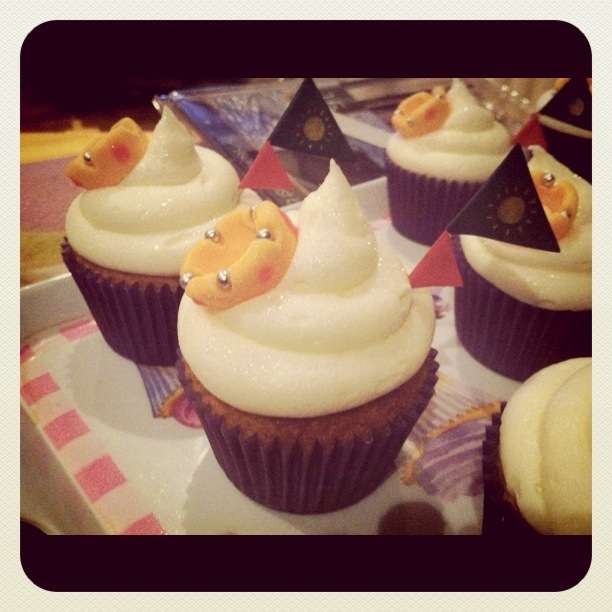 Inanity and the Girl: Knights of the Round ..erm Cupcakes? Knights of the Round ..erm Cupcakes? As Monday rolled around and the start of yet another week kerplonked itself in my lap I (for once) wasn't doing a grumble. 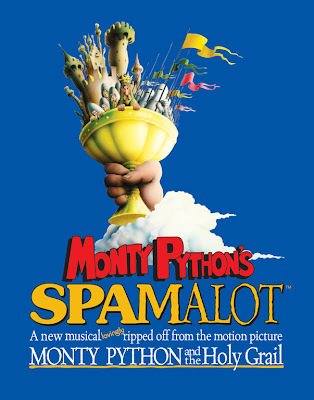 Himself had gotten some tickets for Spamalot at the Belfast Grand Opera House and being a bit of a Python fan (did that sound rude?) I really wanted to see the stage play. So first things first I of course BAKED! When going to see Spamalot, it is of course important to make Camelot themed cupcakes. It is right? I mean when we went to see Legend of the Guardians I of course made owl cupcakes this seemed natural. So when thinking what says Camelot? I went with flags and crowns! 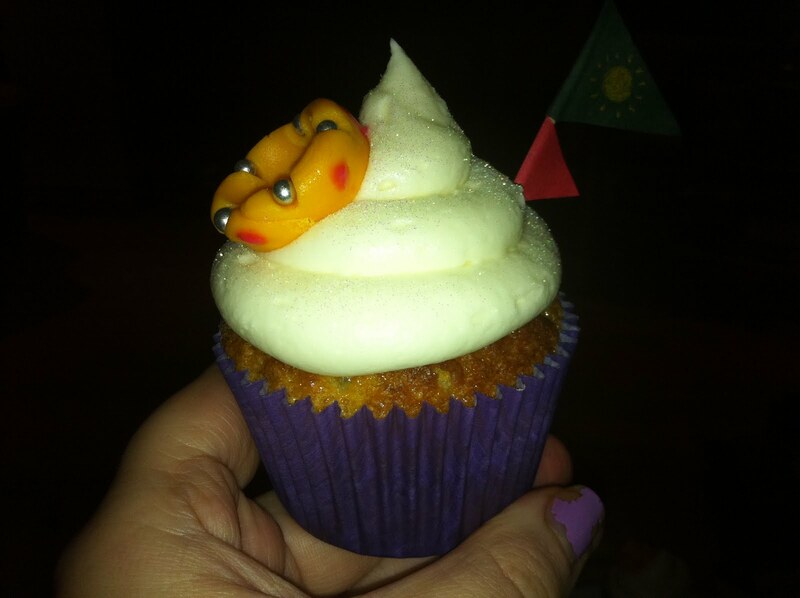 They were just a really simple vanilla cupcake with a double buttercream frosting, (butter, double cream, icing sugar). The flags were really simply cut out of labels I coloured with my graphics pens and stuck round little cocktail sticks. The little crowns were made from fondant dyed with yellow gel and I made them into crowns. A fiddly process I have to say as I don't normally work with fondant, usually buttercream is my decorative area. I think they turned out well though. I added some little sugar silver balls and a red icing sugar paste for my faux rubies. They also tasted pretty darn yummy! Excuse my chipped polish, shocking I know but I'd just done the dishes. Oh I also added a little holographic glitter for some extra sparkle. 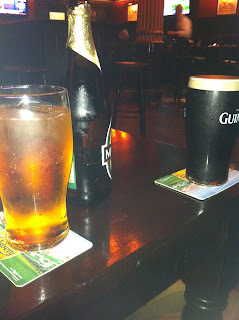 Before the show we decided to nip into Robinsons for a quick bite and something to drink, yum! Aren't we such Irish stereotypes tonight? 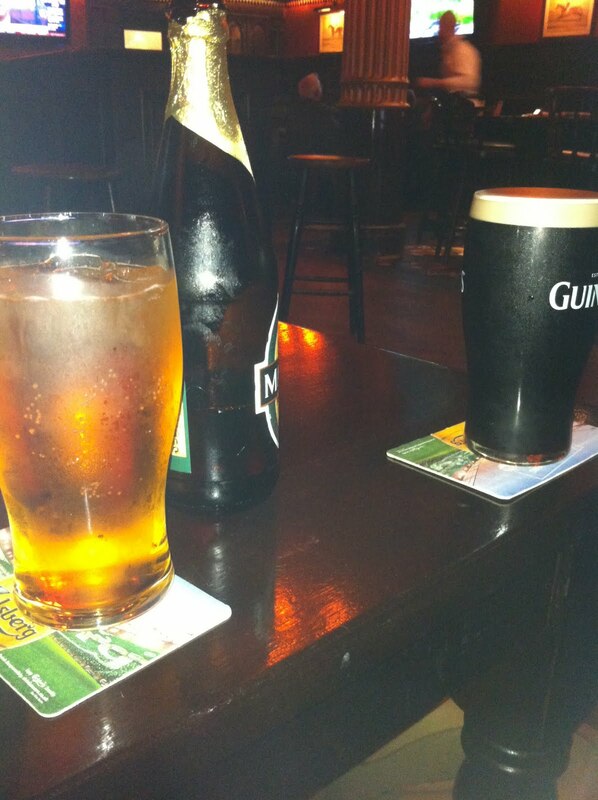 A Magners cider and a Guinness! For the pre-show drinks I was lured by a cute bottle, sad but true. 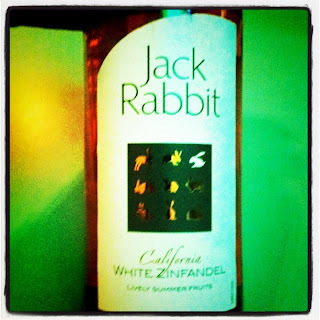 It was actually a rather nice rosé wine, but the hopping bunnies were just too cute to miss. The show was so much fun, having a sing-along and generally laughing till my tummy hurt. A really good night. Go see the show its awesome!